Well, the battle continues as I wage my own personal HOL-E war..
Life has been hectic and I've not been baking as much as I'd like, but I was able to get a bake in this weekend. Too many things going on so I ended up using my starter a bit past peak (started to fall). Which is amazing considering I fed it 12 hours earlier with just over 1:4:4 and kept it in a mid 70 degree warm cupboard spot above a heating vent for the night..
A short autolyse, the regular routine of stretch and folds and a very long bulk. I started around 10am, finished my stretch and folds by noon and at 3pm had to head out so I put it in the fridge (it looked like it had almost doubled at that point) and when I returned around 6pm did a quick shape and retarded overnight. I was trying to push my bulk further than normal. It didn't expand too much more over night - maybe 10/15% more. it was just a bit more dough than my combo cooker could handle but I stuffed it in there and put the lid on. I think I'll reduce the dough volume by about 20% to give the dough more space next time. 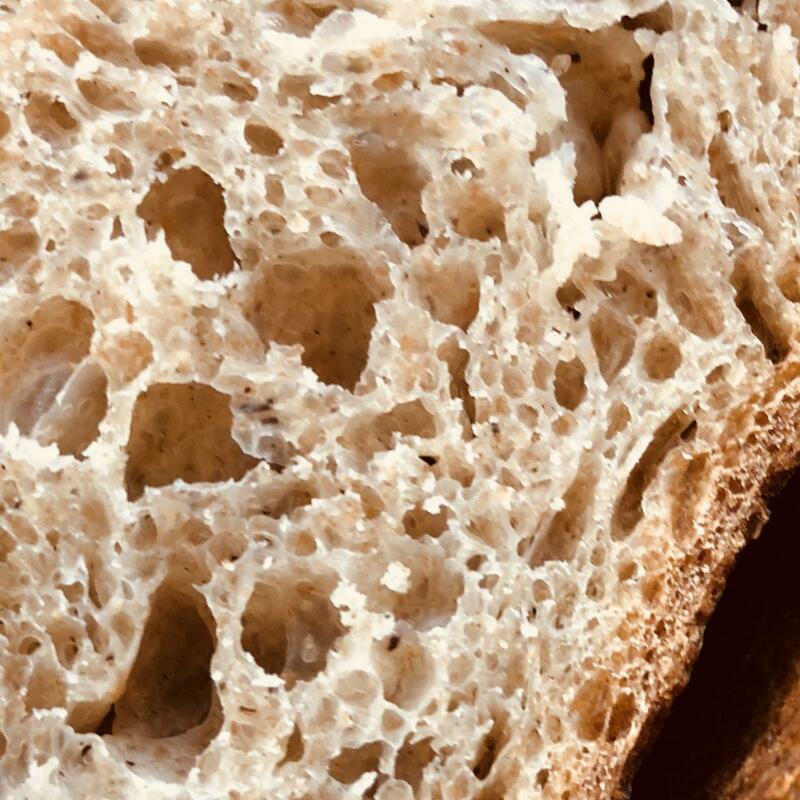 Overall little to complain about - crumb was good and I'm increasingly getting better at creating a more open crumb per Trevor's open crumb mastery method.. but I'm far from anything resembling mastery! This clearly is moving in the right direction and is the most open crumb I've made using Trevor's method. 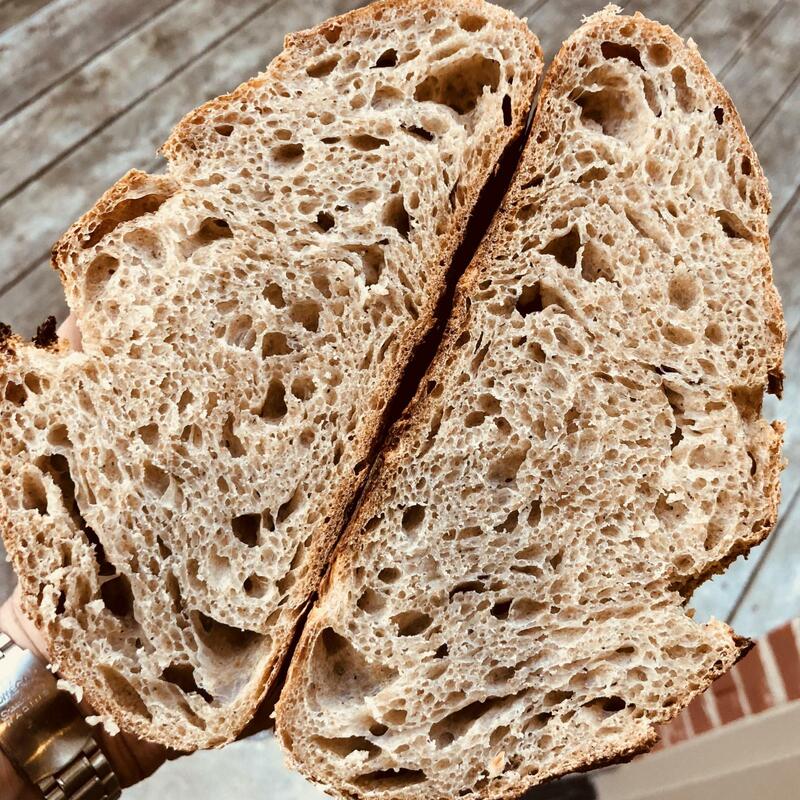 The longer bulk fermentation made a difference in helping opening up the crumb. The starter could have been used a bit sooner. Getting there.. I'm not sure I'm a buckwheat fan, but I had some flour and used it. I think I'll use that flour for crepes going forward. 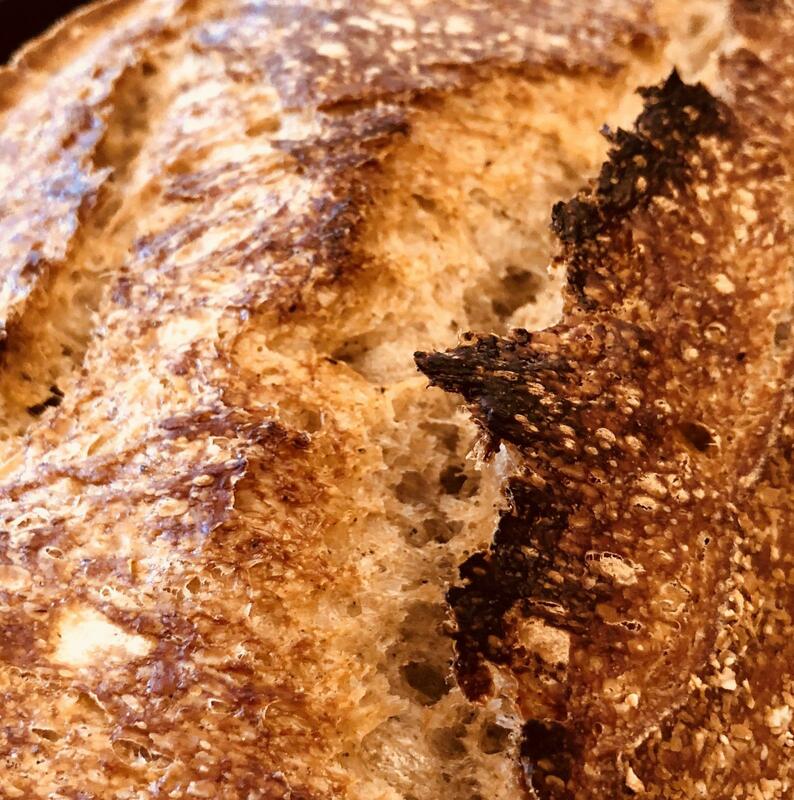 The battle continues..
and you nailed that crumb! I am wondering if that trip to the fridge during bulk helped the crumb. 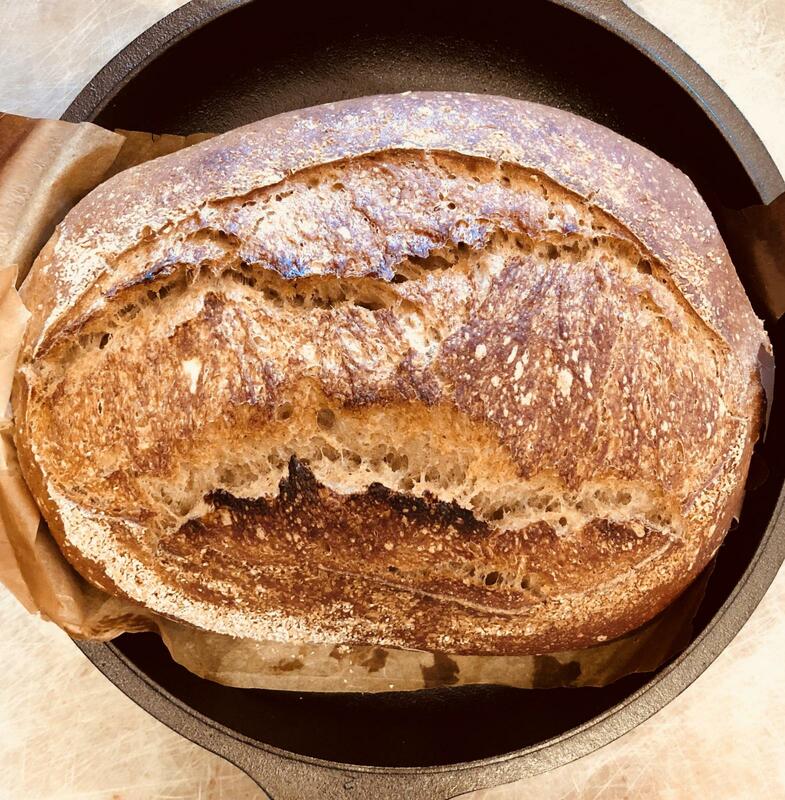 I know that I did get a nice crumb once by doing exactly as you did: I had to run out and put the bulking dough in the fridge and shaped it when I got back. In any case, well done! makes me just want to grab a slice! interesting thought to retard like that during bf, another thing to try! Beats doing the whole bulk retard thing and then shaping the next day and trying to get any rise worth mentioning. I haven't had much luck or maybe not enough patience the next day. I want to get it baked cold and already shaped so your experiment this time has some appeal.